Birch wood is fairly well-known in some parts of the US as both a firewood and a smoking wood, though it may not be as easy to find as other more common smoke woods like hickory or mesquite. Because it is a hardwood, birch gives off a clean smoke. In comparison, resinous softwoods like pine put out a sootier smoke that can cause creosote buildup on foods. The residue from softwood smoke gives food an unpleasant taste and can contain carcinogens. Note that birch is considered by some to be a softwood and has a particularly oily bark that gives off a black smoke when burned; however, the oiliness is concentrated in the bark and the rest of the wood is in the medium-hard category. This means that it is softer than some other hardwoods, but is still in the hardwood category. In other words, it should still be safe to use for smoking food. Birch trees are found mostly in the North American temperate zone. This is one of the reasons that it is not among the most iconic smoke woods—it is not widespread in the deep southern US states where barbecue is most popular. The general rule for choosing woods to use as smoking woods is that if a tree produces nuts or fruit, the wood from that tree is good for smoking food. While birch trees do not produce fruit that humans eat, they do produce fruit. That fruit is classified as a samara. The samara from birch trees is food for a variety of forest animals including rabbits and deer. Along with being used for making lumber, the wood from birch trees is also used to make birch soda. Birch soda is a soft drink made from a variety of herbal extracts including extracts from birch bark. What is the effect of birch wood chips on flavor? What is special about them? Birch wood chips flavor is mild and sweet, much like maple wood chips. They’re best used to flavor mild-tasting foods and foods with short cooking times. Short cooking times are important since in addition to having a lighter flavor, birch wood is consumed faster than hardwoods like hickory. Its flavor goes particularly well with fish, pork, and poultry. You can also mix it with other stronger woods to make their flavors mellower. 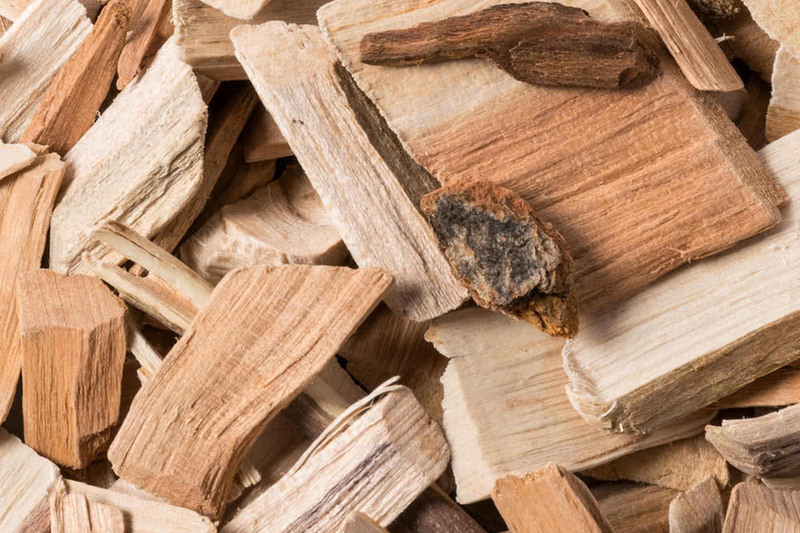 Consider mixing birch with hickory to sweeten that smoke’s bitter flavor notes. How do you use birch wood chips? If you are grilling with a gas grill, use a smoker box to keep the ash from getting into your burners. Simply pack the smoker box with chips and place it over a burner. When you are done smoking, just empty the smoker box. If you are cooking with charcoal, a smoker box is not essential since you can simply toss some chips directly onto smoldering coals but it may keep them from burning up as quickly. It should be more effective than soaking the chips, which does not significantly lengthen their burning time. Because the smoke from birch wood has a milder taste, you may need to use more of it to ensure that your food gets enough flavor.